The 2019 Popcorn Season is in the Unit Planning Stage! What should a Unit do in the Unit Planning Stage? 1. Sign Up for the 2019 Popcorn Season using the 2019 Popcorn Commitment Form. 2. Enter Popcorn Season Dates into your Unit Program Planning Calendar; use the Kernel Guide to Popcorn 2019 Timeline. 3. Confirm your Show-n-Sell date and hours with your Unit's favorite locations. REMEMBER to get this in writing and add these dates to the Unit's Program Planning Calendar, too. 4. Schedule a weekend for your Unit's Neighborhood Blitz. 5. 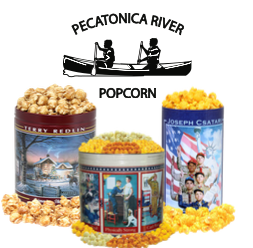 Create your Popcorn Season Kickoff activities and handouts. The sale begins on September 14th!